Internal communication channels should be selected based on the purpose of your communication and your understanding of the audience. It will also help to consider what information is best communicated through different channels and weigh the pros and cons of each. 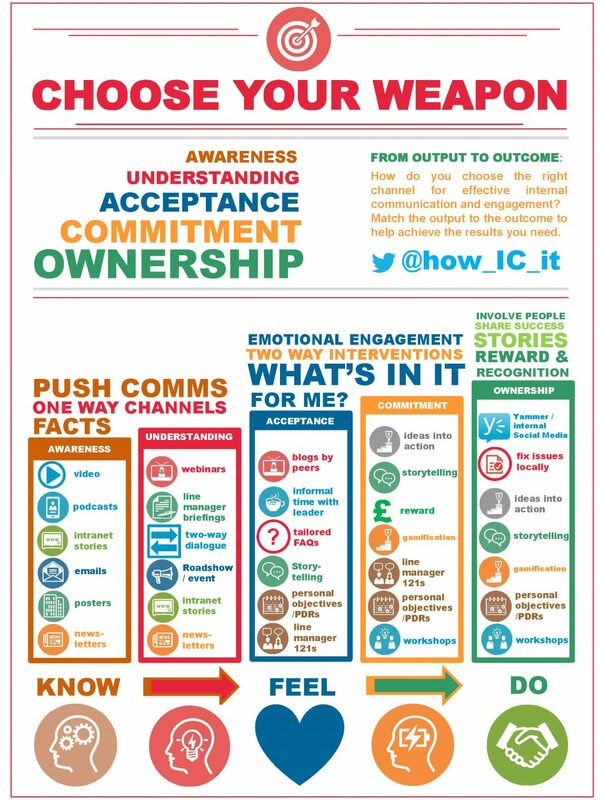 If you want to select the most appropriate communication channel – that is, the most effective one to promote and encourage a specific behavior or outcome – this four-step process can help. Think about which non-traditional channels are best for different employee audiences, such as remote employees. Do your research on current stakeholder behaviors in new channels, such as social media — i.e., what channels they use and which are influential. Measure the use of these new channels as you experiment with them. 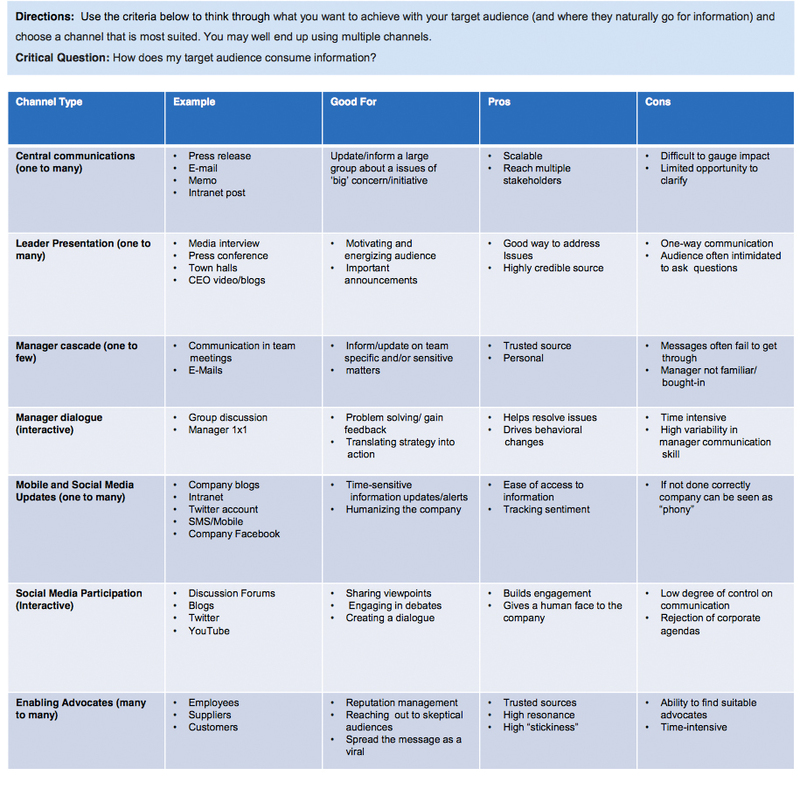 Use the channel selection guide in chart 1 to identify which channels are best suited for your communication objectives.